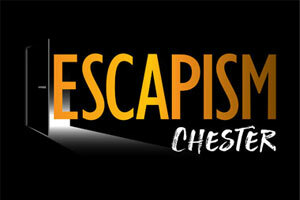 Escapism Leisure Limited is an Escape Room experience based in Chester. 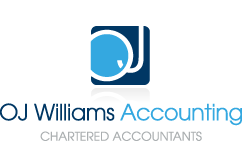 OJ Williams Accounting has worked with Escapism from its incorporation. We helped Escapism with its cashflow forecasts which it needed to present to the bank and its prospective landlords in order to gain finance and the lease on its premises. We advised Escapism when the optimum time to register for VAT was, which, saved them £000’s than if they had registered straight away. We provide Daniel, the owner and manager of Escapism, with a monthly management pack which contains a profit and loss account, VAT and corporation tax liability projections and projections on what dividends Daniel can take from the business. The monthly management pack I receive from Owen is invaluable to me as I can keep track of the company’s performance. As I have sales online via Paypal and on premises via card machine and cash it’s hard to keep track of the exact monthly sales on my own. Seeing sales trends each month has helped me change my marketing and pricing strategies to help boost sales in quite periods. Having the monthly packs ensures that I keep an eye on costs as I can really see how they affect the bottom line. It really helps me make informed decisions when incurring expenses. The monthly packs also contain information regarding the VAT and Corporation tax liabilities that are building up so I can plan my cashflows accordingly. I do not have any nasty surprises when the liabilities fall due. Planning my cashflows also means that I know how much salary and dividends I can take out of the Company. Owen ensures that it is the most efficient mix possible and then keeps me up to date on what my personal income tax liability will be at the financial year end. Knowing my accounts are in great shape really helps me feel in control of my business.